Do you want to get your website optimized in Google? What are the benefits of building your site for Google ranking? What frantic effort have you made so far in trying to optimize your site? Do you really want your site to become very strong in search engine result pages (SERPs)? Follow the way of the pros and be on your way towards getting the pro blogging results. All you simply need to do now is implement the pro blogging tactics from the onset and get results faster than most veteran bloggers out there. Once you can strive to follow these useful tips, the job is done. You’ll watch your site skyrocket in search results. You’ll move your blogging game from stage to another successfully. If you would want Google to love your site, you’ll learn how it works from experts and won’t hesitate to follow suit no matter how difficult the execution may be. Part of the blogging activities that help you skyrocket your blog is content creation. Would you love to be creating content on a daily basis? Would you love to be writing 2000+ words long articles every day? This is the most crucial task out of the ones you’re expected to complete in your daily to-do list. In today’s publication, I’ll discuss some blogging tips you can follow to optimize your site for search ranking. Once you can follow those tips sheepishly, you’ll find that you can build a strong blogging empire in a short period of time. Why do folks use the traffic generation software to build traffic for their websites? They want to become financially free. Once Google detects this, they receive a hot slap and their rankings get lowered in search results. How do you want Google to evaluate your site? How would you want your site to be evaluated in the search engine? All you need to do is build your business on the solid pillars. Do you know that site speed can impact your ranking in search results and it’s one important ranking factor in Google’s search algorithms? How long does it take the pages on your site to load? The excellent page loading rating is 1.3 seconds once it takes your page loading times more than this, know that it’s going to impact your search ranking negatively. If you’re experiencing low speed on your site try and conduct some evaluation into the theme and plugins installed on your site by using the Markup Validation Service to assess each of the plugins and the theme. Make sure to also evaluate how you use images on your site lest this causes low site speed which may hurt your ranking seriously. Endeavor to use the original size so to prevent too many HTTP requests from being sent across and to ensure that images are not loaded multiple times due to the reduction of pixels. You must ensure to publish highly-informative content frequently as this will surely help you build Page Rank for your site at the earliest possible amount of time. What do you understand by creating informative content? It’s such a piece of content that contains a lot of useful tips and ideas for readers. Why do you need the frequent publishing of content on your site? You need it for getting higher ranking as the content is the only food that Google loves so dearly. So, if you want to find favor with Google, don’t hesitate to post high-quality and engaging content on your site every day. Responsive design is such a simple site design that wouldn’t let your site experience a poor page load rating. 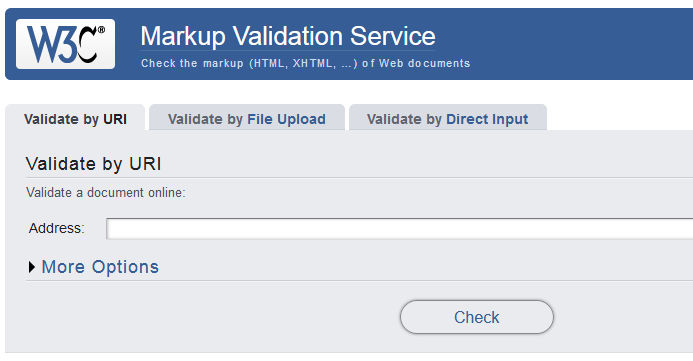 To be sure you’re using the right design for your WordPress design, don’t hesitate validating it through the Markup Validation service. If you want your content to rank fast in search results, endeavor to always do keyword research and choose low competition keywords for all of your content. For the sake of quality in research, don’t hesitate using Jaaxy – the most integrated, yet, the best niche & keyword research tool in the industry. While searching through the keyword research tool, make clear references to metrics such as Quoted Search Result (QSR), Keyword Quality Indicator (KQI), Article Power, Monthly Traffic, Average Searches, SEO, and all of that. They all determine the right keywords to use for your SEO content. I’ve tried a couple of keyword research tools online long before I stumbled at Jaaxy. It’s been a wonderful keyword researching experience with Jaaxy for about a year now. “Freshness” is an important term that Google loves so much when it comes to building a site for search engine ranking. So far you’ve realized that content is king and creating it every day would be greatly essential for building Page Rank for your site, there’s no cause for alarm. Take time to practice writing once you find it hard to write. Create a thousand words article per day on the word document and get used to it after some time to improve content building on your site. Inbound links are external links you get back to your site from other websites. It’s as crucial as content for building Page Rank for a website and you can get lots of high-quality links from niche-related authority sites out there. To start building high-quality links for your site, don’t hesitate to use high PR online forums such as Warrior Forum and the likes. Create threads frequently, reply to posts under your threads as soon as possible, and help folks out of one challenge or the other in the course of doing their own business. Above all, remember to add your website URL as the signature which appears at the bottom of every post you create across the forums. It’s so important to have your website optimized for Google.The 7 tips you have listed are things that I do with my website. I know that site speed is crucial because people are not going to wait around for your webpage to load. Publishing content frequently on your website is extremely important but even more important is the quality of your content. I’ve been taught to always target low competition keywords and that’s just what I do. And of course links are vital to getting your site optimized, so it’s crucial to have both inbound and outbound links. How important are comments to your posts and how often should you have them? Thanks for stopping by, Rob S! Optimizing a website for Google entails building out topically-related, informative, insightful, engaging, helpful, compelling, and remarkable content. While building out content, it would also be good to consider building quality links as well as improving site speed. All these work together for website optimization in Google. Thanks for your lovely visit! Hi, There you have created a very detailed article. This will help me in my task of making my website faster and can be among the first pages of Google. You have given me very good ideas to be able to achieve my goal in a shorter time. With this information, you will help me tremendously in making my website faster and responsive. Many thanks for sharing your article. Thanks for stopping by, Urbano! Kudos for the reading and for finding my post helpful to your online business! Much impressed! Yes, the strategies will surely help a lot in ensuring that you make your blog skyrocket in Google on time. The post simply itemized the most working strategies for optimizing your blog for Google and these are the pro blogging strategies you need to implement to become a pro. Thanks for your lovely visit! Wish you much success in your online endeavors! Thanks for stopping by, Salim! Much appreciated! Content is King and other blogging routines we try to observe on an everyday basis are mere additions to it. Content is the major strategy with which any blog can be made to skyrocket quickly in Google. What is next to it is link-building. You must generate quality links alongside building out content. Thanks for your lovely visit! Wish you much success in your online endeavors! Hello, great article. I’ve tried Jaaxy and am learning how to use it. What’s the number one thing to keep in mind to get the best results out of your keyword searches? Regarding site speed, what do you recommend to keep it optimal? I’ve heard low numbers of plug ins helps? Does back linking pages decrease you site speed? On that same note, what is the major benefit of adding your website URL to each post or page and would is be your home page URL that would be best to add? Hey i really enjoyed your article, it was very informative. I still have a lot more work to do now, i just created my second site which is a niche site so i have to go back through the steps and get it on google and try to bring in that traffic. This is a niche i do know a lot about and i do have a youtube channel where i talk about this niche and a lot of people needs help with it. So hopefully this site does better then my first one. Hey Israel very informative information on how optimize my website for Google. At present I am in the process of building out my website and all will mean nothing, if I am not noticed by Google. Your point 5 on updating my site with fresh content is a really good tip. It truly resonated with me . Because I think its all about giving persons an awesome and engaging experience when they visit our website. And the best way I can do that is by fresh content that they could use and tell their friends about. I appreciated point 7. Adding video presentations and topically-relevant images to your content. I understand the power of images but I did’t think about video presentation. Thinking about it. If a picture paints a 1000 words imaging what a video presentation can do. Israel thanks again for the info. Great information! These are just the tips I needed for getting my website optimized for Google! I checked my site speed and it was seriously lacking, so I have been working on improving that. I’m also working on adding video content that is relevant and suited for my site. Adding content frequently has been a problem for me, but I do see the importance of it if I want Google to recognize my site and put me up toward the top of the SERPs! You have said it all, Karin. Thanks for stopping by! So far you want Google to recognize your website in the search engine result pages (SERPs), don’t hesitate to implement the pro blogging strategies as suggested in this post, the most crucial of which is publishing content frequently while engaging the visitors. This was an informative article on many aspects of how to best optimize your website for Google and other search engines as well, for that matter. Google is the big one, of course, so if you do the steps mentioned in this post, you pretty much will be good to go with the other search engines. It makes sense to take the steps mentioned from a user perspective. You want the UX (user experience) to be as good as possible so they stick around to see what you have. I can use myself as an example to show what I mean. I just added a comment on another post on this website. Because the site is attractive (layout) and easy to navigate, this article was also of interest to me. Rather than click away to another site, I stayed here and now am adding a comment on this article! That is the power of having a good SEO program in place. If you are a blogger, and putting in lots of effort creating good content that people are looking for, it just makes sense to take the additional few steps required to get the most out of your work. The author of this post has laid out quite a few easy steps you can take. Thanks for your lovely comment, Dave! You’re a professional and rocking blogger. Thanks for the passion with which you go about blogging. You’re a rock star in the online world, Dave. Optimizing a website for Google becomes easy so far the working strategies can be implemented. The most crucial of these strategies is the frequent publishing of high-quality and informative content. Thanks for your lovely visit! Hi and thanks for this informative post. There seems to be some criteria I have to take a closer look at. I just had my homepage checked with the NU HTML checker and a ton of errors and stuff came up. I don’t know what to do right now but will have to get into the subject for real. Hello Stefan, thanks for stopping by and kudos for your comment! Much grateful! Most things that cause the errors with our websites include the plugins and themes we installed on them. In order to get rid of these and for our websites not to keep getting hurt in the ranking aspect, it becomes necessary to always use the Markup Validation service/checks before installing any theme/plugin. Thanks for your lovely visit! Very helpful article indeed, thank you for posting. I have 2 websites in different niches and comparing them, I noticed that the one that has a lot of content is doing well in google rankings. Google definitely likes more content, relevant and helpful, that is. I would really love to publish one article daily but due to time constraint, I just can’t. So I am trying my best to publish once or twice a week. Is this an acceptable publishing frequency? Before I leaned about optimizing images, it never crossed my mind that big images will affect my site speed. I installed a plug in to automatically optimize every image I upload. At times I also reduce the images online for free before uploading them. Speaking of publishing informative contents and using low competition keywords, other than using post titles that start with “what,” “why,” or “how,” what other kind of eye-catching titles can we use? Mind sharing your ideas? Thanks for stopping by, Alice! Kudos for your valuable comment! Yes, Google loves detailed and informative content and wouldn’t hesitate to improve your site in the search results. And for publishing frequency, posting once or twice a week would be regarded as a publishing frequency for you so far you’ll make frantic effort to maintain it, though you’ll rank better with writing every day if this had been feasible with you. Yes, other than using the post titles starting with “, “What” “How”, and all of that, you may want to consider creating list posts which start with “Top 10”, “Top 100”, and the likes. They rank faster than other content formats in the search engine. Thanks for your authentic comment! What great tips. I know that optimizing the site is so important. I check my site periodically, and I find it’s mostly the images. I have to run image optimizer quite often, but it’s a cheap price to pay for a faster site. The other recommendation about getting recommendations from an authority site is also great. That comes because they find your site is quite relevant and significant which drives up your ranking. Thanks for your valuable comment, JB! Much appreciated! Most people have realized that the All-in-One SEO plugin has stopped working for image optimization since the introduction of the block editor. To my knowledge, the issue is not really attributable to the newly-introduced editor but to the fact that some people have really installed so many third-party malicious plugins on their sites as a result of which toxic codes have been installed which is now slowing down their site loading speed. Thank you for providing such an informative post. The tips you provide here are just what I need to take my site to the next level. The hardest part for me is posting content on a regular basis. It’s not so much coming up with the content as it is just following through in a timely manner. This has been one of the biggest reasons my site drops in the search engine rankings. Thanks again for this. I’m bookmarking it as my to-do checklist as I produce more content. Thanks for stopping by, Merlynmac! Kudos for your comment! You’ve said it all by emphasizing the fact that writing frequently is most challenging generally, whereas, is the most working strategy as far as getting ranked in the search engine is concerned. Content is King and there’s nothing anyone can do about it. The thing Google loves the most on your blog is the detailed, informative, remarkable, highly-engaging, high-quality, helpful, and useful content you create from time to time. I’ve created a series of training at WA that clarifies how anyone can get through with the challenge of writing content frequently. Thanks for your lovely visit! Wow, this is incredibly useful for me. I just recently started and while I know content is king, there are tips there I don’t know about. I didn’t even think about using forums to create inbound links! I do have a couple of places to go to, but it’s pretty hard to start posting about my site even though I do have a rep there. Do you have an article about responsive design soon? I’ll be looking forward to it! Thank you for writing this! You’re much welcome, Murasa! Kudos to you for the awesome comment! As you continue in the business building out content on your blog, you’ll be getting to improve more and more in the blogging knowledge and initiatives. Yes, forums are a great place to get high-quality links especially if you post to high PR online forums out there. Posts about responsive designs are coming up soon on my blog. You’ll start seeing them soon. Thanks for the passon! Kudos for the comment! See you at the top of the online world soon! Can you tell me a bit more about inbound links? I’ve read a few conflicting opinions about the topic and I’m kind of confused as to whether or not I should be spending my time building links or writing content, or maybe a little bit of both? Does it matter if the links come from forums or from places like Reddit/Quora? It seems easy to get links like that, but does Google actually count them? Thanks for your valuable comment, Craig! Kudos for the reading! When it comes to optimizing your website for Google, the best way to go about it is to do the most needful first which is writing the kind of content that is keyword-optimized, informative, and topically-relevant. Then, you may consider building high-quality links from high PR online forums, Quora and the likes. These are the best places to get high-quality links which Google counts. Thanks for stopping by! I have my own website and I want to increase the traffic of my website. This article had everything I needed to know about optimizing a website for Google. All seven tips and strategies were really easy for me to understand and follow through. You gave great explanations throughout the article. Thank you so much for sharing this article. Hopefully, my website gets optimized in Google by following these strategies. Thanks for stopping by, Sujandar! Much grateful! Following the pro blogging strategies will help you ensure that your website is optimized for Google. If you can implement all the suggested tactics in this post, you’ll watch your site skyrocket soon in search engine result pages (SERPs). Thanks for your comment! See you at the top of the online world soon!